Looking for a small piece of ebony. I need to net about 1/2” square by 24” long. Having a real hard time finding anything domestically for sale online. Happy to buy a 4/4 roughsawn board. I am in Western MA. 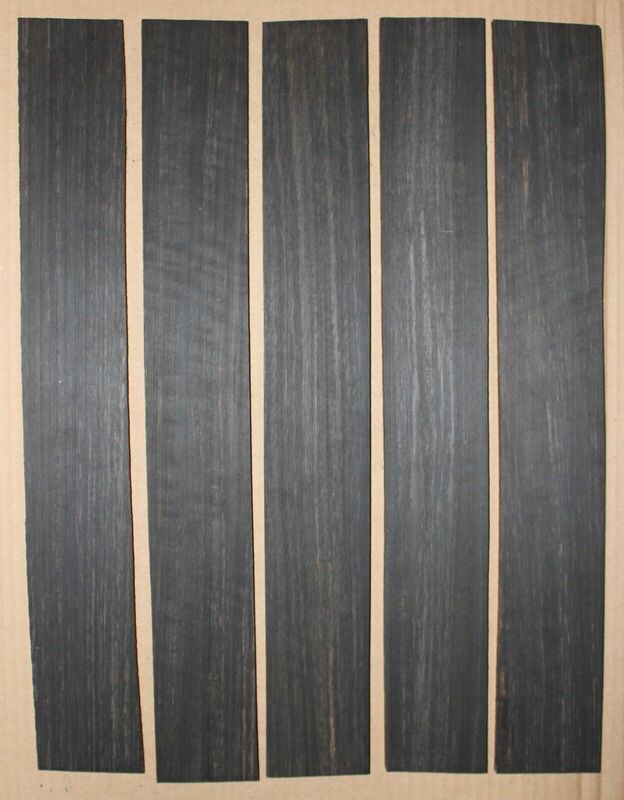 Assuming you mean Gabon Ebony, Hearne hardwood still had a few left in the bin last weekend. They are happy to ship. Yes. Their website says $300 minimum on all phone/web orders. But I’ll call them tomorrow. I’ve just cut up fingerboard blanks to do it. Last guitar I built I didn’t use an ebony strip. get a good sound and stable neck. Where are you located? My local store has ebony in the form just suitable for guitar necks. I think they cut it to gbis shape on purpose. 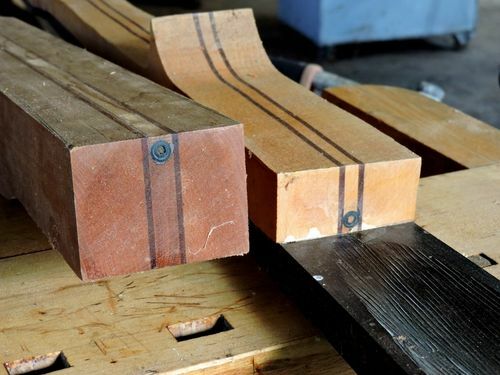 Loren, have you built classical guitars? Very cool man! Do you play, as well? I’ve been self taught in classical Spanish repertoire for about four years now. Love it, and can’t wait to build one. Go on ebay search for ebony turning squares. Are you sure you look closely online ? There are literally millions of them, How could you miss ? Thanks Carlos. I do see some ebony on eBay. That picture looks like veneer. Or neck blanks. Most of it is way more than I need. There is a reinforcement strip in Portugal I might buy. 1” x 4” x 40” solid black was 90$. I am in SE WI. I use two way truss rods for steel string guitars. My double bass and mandolin necks get carbon fiber rods from LMI epoxied in place. I plane in relief before the fingerboard goes on for the mandos and after for the dbs. I ordered a piece from Portugal. Feel a little silly, but it’s all I need and under $10. I’ll keep you all updated on the build.